With built-in 2.4G transmission, the X1T-S transmitter can remote control the Godox flashes which have a built-in 2.4G wireless X system. 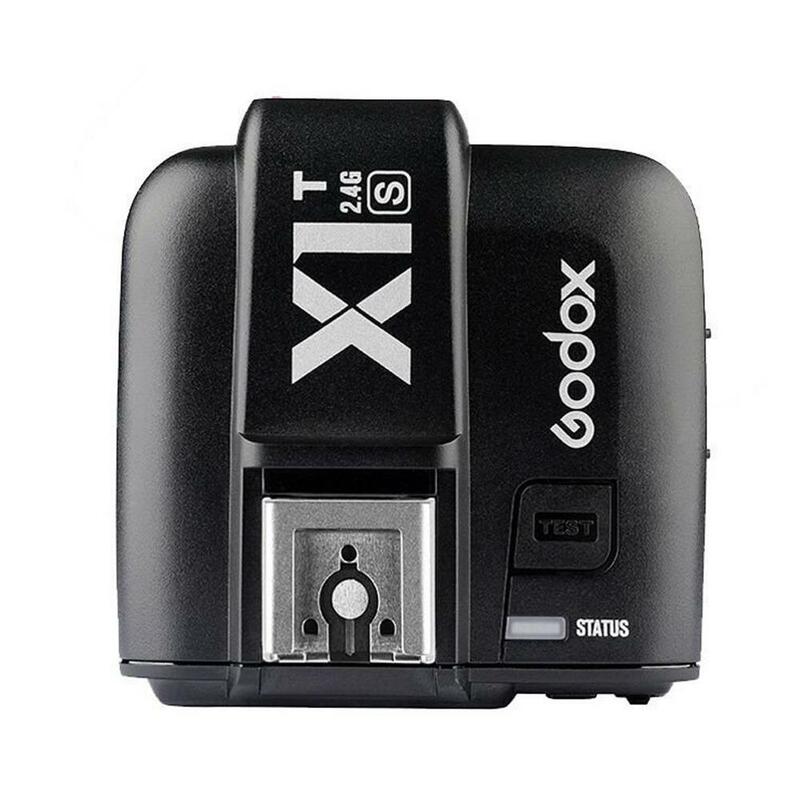 When using in combinations with an XTR-16 or and XTR-16S receiver (Both Sold Separately), the X1T-S transmitter can remote control the Godox flashes which do NOT have the built-in 2.4G wireless X system. Support for TTL autoflash, 1/8000s High-Speed Sync, Second Curtain Sync, Flash Exposure Compensation, Flash Exposure Lock, Modelling Flash Control, etc. With GR group flash and wireless grouping system (max. 5 groups and 32 channels) and triggering the flash. High quality LCD panel to offer convenient operation. Versatile functions such as synchronization delay setting, wireless shutter release, zoom setting, C.Fn custom functions, etc. USB firmware upgrades help keep pace with the latest technology. Useful memory function that settings will be stores 2 seconds after the last operation and recover after a restart. X1T-S supports MI Shoe, which is compatible with Sony cameras e.g. a77 II, A7R II, A7R, a58, a99, ILCE6000L, etc.